Hearty, Happy Diwali Greetings to every dear reader-devotee! May this Diwali lighten up your life, may it lighten down your burden and may it enlighten your intellect and lead you from dark alleys to Lighted path! I owe an apology to all of you for not meeting you through this blog in the past four months. 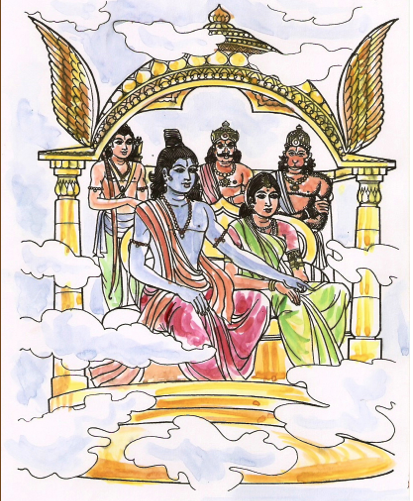 Well, its not fourteen years as Sri Rama’s exile! To return to blog writing is absolutely not only a pleasure but also a personal e-sadhana for me which I must nourish and cherish. This Diwali post is 101st and barely 2900 hits are required to reach one hundred one thousand hits! Enquiries from ever-loving readers evoke in me enough encouragement and I do hope at least once a month I shall, by His grace continue to visit your inbox without fail! Thanks for your wonderful support in keeping the lamp aflame! Our world today is at the crossroads. While charity to help the poor and needy is delightfully increasing, it is disconcerting to see the rise of violence – domestic or national, crime, obscenity, corruption and other expressions of ill-gotten wealth. Serious people devoted to God and godly means of living are indeed worrying about the future prospects of their children. Is there, among the gloomy cloudiness, any shiny ray of hope? It is in this context that the various celebrations that have come to us from time immemorial from the spiritual land of Bharat hold the clue. One of the most loved celebration of all the Hindus the world over, is the Festival of Lights – Diwali, also called Deepavali. Diwali signifies lighting of lamps in every household on the Amavashya night that follows the bright fortnight after Vijaya Dashmi. No doubt this occasion marks joy and merriment. On the Diwali night, rows of lamps decorate the houses and presents are exchanged. Diwali, in the north of India, is associated with the coronation of Bhagawan Sri Rama when he returned to Ayodhya (in Uttar Pradesh) by pushpak-vimaan after vanquishing the demon King of Ceylon, Ravana on the day of Dasshera. Sri Ram had been in exile for fourteen years and the people were pleased to see and welcome back him with rows of lit lamps. This festival of five days gives us, Hindus, an opportunity to go beyond all external extravaganza. First day marks Dhanteras meaning the thirteenth day of wealth. It is also called Dhanwantari Triodashi indicating the adoration of Dhanwantari. He is the God of Medicine for the devatas and originator of Ayurveda science. The importance of keeping one’s physique in a healthy way cannot be over stated. As the ancient Sanskrit dictum says, “shareeram aadyam khalu dharma saadhanam” – body is the best means for practising dharma, taking steps to improve one’s health becomes mandatory. From here, with strong body, one has to ascend to the state of strong mind. Thus the second day, called naraka chaturdashi, is the fourteenth day signifying release of 16,000 princesses from prison by Sri Krishna. 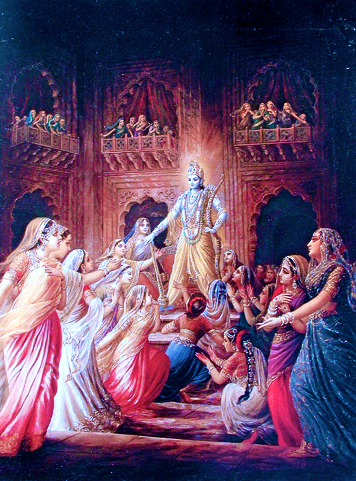 Bhagawan Sri Krishna encountered the demon Narakasura and killed him after granting his wish that on his death day people must celebrate with lighting of diya (lamps) in rows, taking oil bath, distributing sweet meats and burning firecrackers. We all do the latter part but do not pay attention in removing the darkness that has come to reside in our hearts! As Swami Vivekananda says, darkness in a sealed room over one thousand years will instantly vanish the moment a matchstick is lit. Knowledge of God is light. The ignorance inside is darkness – a prison. 16,000 women are none but our 16,000 nadis to be liberated from impurity. If body and mind are kept free from impurities, then only this life can be truly enjoyed. As the Isha Upanishad says “ tena tyaktena bhunjeetaah” – this life can be enjoyed when detachment comes. The mind searches for the purpose of life and it tries to fix the goal. Lakshmi word comes from lakshya meaning goal. Thus the third day which is the most important day of the five days of festival is spent in the worship of Goddess Lakshmi whose dazzling luminosity is represented by rows of lamps. What is the ultimate goal of life? Bhagawan Sri Ramakrishna clearly spells out the purpose of human birth. He says that a man is born in vain who inspite of having a human body, does not attempt to realise God! In eastern parts of Bharat, Goddess Kaali is worshipped. She is evidently invoked in order that our rakta (blood-attachment) is dried up (swallowed) and our munda (ego-head) can be cut asunder by Her grace. When God becomes the focus, all obstructions, sufferings, troubles come to an end. Did He not assure in Gita that His devotee is never destroyed? – na me bhaktah pranashyati. Thus the fourth day is important milestone in the spiritual development of a sadhaka when he/she is rest assured of the protection of the Lord. 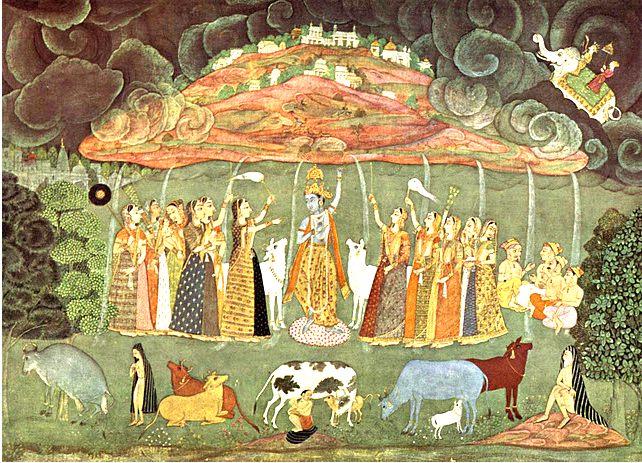 This day is remembered as Govardhanpuja signifying how Bhagawan Sri Krishna lifted with his small finger the massive Govardhan mountain in order to protect his people from the deluge of rain. Progress in spiritual life has some definite signs. One of them is the cheerful attitude with which one serves all brothers and sisters. The amity that is brought forth among the sisters and brothers is practised on the final fifth day as bhaidhuj. As per puranas Yama, the Lord of Death has assured that he would not bother those mortals who spread the message of love to their sisters. A perfect harmony leads to moksha, the ultimate liberation. Thus this ‘Five-day Festival’ traces the spiritual expansion of human growth culminating in the gaining of knowledge of God. It offers an opportunity to dive deep into one’s heart and search for all types of demonic qualities residing inside. 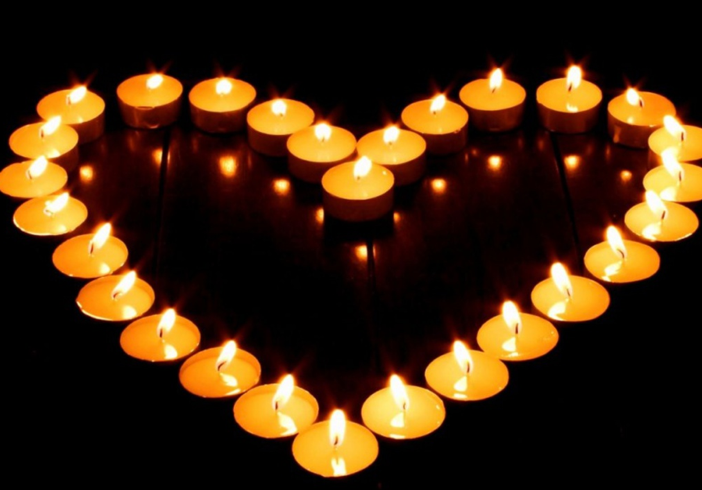 Thus, the need is felt to clear the darkness from the heart. To dispel away the internal darkness we have to light the lamp of knowledge. When a lamp is lit on Diwali, just pray to your chosen ideal that the darkness of ignorance be removed from your heart. In the Bhagavad Gita, Bhagawan Sri Krishna says that out of compassion for the devotees, He, residing within their hearts, certainly destroys the darkness born of ignorance with the radiant lamp of knowledge. (Ch X.11). Hence, while celebrating Diwali, let us pray to the Divinity (in whatever form one may believe in) to bestow the right knowledge by which we can lead a peaceful and prosperous life with service to the poor and needy. May the grace of Shri Raam be bestowed upon you eternally is my sincere prayer. Yes, indeed Maharaj, your absence through this platform was really missed. I felt like the chatak bird these few months for the rains of your inspiring and profound words to quench my thirst. Have a blessed and wonderful Deepavali Maharaj! Thanks for your intermittent enquiries and enthusing me to write more for this blog! I have been a regular reader of your Blog and your Posts are indeed interesting and thought-provoking. It was a nice experience at your home satsang the other day when so many sincere devotees had assembled and I enjoyed especially the question-answer session! May Bhagawan Sri Ram help you in spreading His glory! It was indeed a wonderful surprise to see a post by Maharaj after such a long time at 3 AM! Indeed this is a wonderful sadhana at Brahma muhurta! Happy Diwali from the entire Ramkissoon family! This has indeed been a very good start to the day! Maharaj’s post has not only reminded us of the spiritual importance of Diwali but also added new information and dimension to our understanding. Oh No! I did not write at 3 AM at the Brahma muhurta! The WordPress blog has a facility to schedule the publication at your own needed time. One may write any number of Posts and keep them pending and ‘schedule’ for a particular time and date and so obediently, the Free WordPress publishes it exactly! I placed it 3 AM because in India presumably most of the devotees would check internet from 6 30 am which would be 3 AM here! Thanks for the appreciative words about the post! Please accept my humble pranam to your feet. I had thought, may be, you have deleted my email ID from your senders’ list as I could not see your blog-mail for a couple of months. Happy to see your Blog after a gap of 4 months. I heartily and happily reciprocate your Diwali Greetings. Thanks! How could you think I would have ‘deleted’ your email ID from my Contacts list? You have by now understood why there was no communication from me as my schedule was hectic in these four months and hardly I could pay attention to this blog. Hope Master allows me some time to do my seva in this way too! May Bhagawan Sri Krishna bless you with good health and ensure your spiritual progress! Your narrative on Holy Diwali is very uplifting and Illuminating. Thanks for your visit and appreciative words! I know how busy, even in this old age, you must be now. Hope you are preparing to go to Ranchi Sanatorium for witnessing the marvellous Sri Sri Jagaddhatri Puja there. May Bhagawati Ma Jagaddhatri bless you is my prayer! Thank you for the enthralling post…maharaj has highlighed everything which is exciting about Diwali. i find Diwali to be supercharged with happiness…and it makes me feel excited about being a Hindu…… and with much guilelessness i wish it last forever – as on this day it really feels that Sri Raam is so much closer. Naturally the challenge is keeping Sri Raam every day at “home” in the heart :)! Yes, as is with any other Hindu festival, Diwali too has two aspects – external and internal. Sometimes in our society the ‘external’ part gains lot more significance to the Hindu identity in lands where Hindus are feeble in number. Of course ‘internal’ aspect can never be neglected. I thought about your mentioning ‘challenge’. There seems to be an easy method to meet the challenge in keeping Sri Ram ‘at “home” in the heart”! That is to invite His param-bhakta and sevak Sri Hanumanji first. If we pray to Sri Hanumanji earnestly “Rama lakhana sita sahita, hridaya basahu sur bhup” then to stay in our hearts, Sri Hanumanji would drag the other three automatically as he can never come alone without his Master!! It is interesting to hear the word e-sadhana. Then my mom should get realisation by now! She downloads lectures of Swamis, writes articles on Holy Trinity etc.! I am expected to reach Botswana on 19th of Nov. We conducted a satsang at my house last month. 4 Swamis of RKM ashram nearby blessed our home. I hope to do something like this in Botswana. (I learnt all formalities of conducting a satsang). I just finished reading Divine Play by Swami Chetanananda and ‘Akhandananda as I saw him’. I just cannot choose my favourite after the Holy Trinity. They are all great but unique in their own way. I even read Tulsi Maharaj‘s biography. As a book it was not interesting, but there is no doubt about his greatness. Ajayaprana mathaji (returned from Australia) will be giving a Talk tomorrow at Sarada Math. I hope to come someday to South African Ashram. Aside enjoying your joke, I should point out that even hard tapasya like Dhruva‘s cannot bring God Realisation as this Realisation does not depend on anything except His Grace. What to talk of e-sadhana which is comparatively a lot easier! The purport is that as we are engaged in many kinds of karma (activities) it is necessary as spiritual aspirants to view every karma as His seva and in that sense I used the word e-sadhana. Hope its clear to you. I am happy that you are coming shortly very near to our country. Since you have seen how a satsang is conducted you would be definitely able to do it in Bostwana too. Its true that more we read lives of Direct disciples, we understand their individual greatness. And collectively, how much sacrifice they had to do in standing by Swamiji who brought revolutionary concepts into the ancient sadhuhood system! Happy to know that Revered Ajayaprana mataji has arrived in India and now Indians will get the benefits of her erudite learning. Welcome to South Africa! Yes, you must with whole family make a visit! We shall be rather delighted to show you round our HQ and different branches. May Bhagawan Sri Ramakrishna help you in spreading His glory! My pronam and delayed Dewali greetings. It is nice to see your blog again. Reading your blog keeps every one in touch with the divine. Thanks for the reply to my earlier letter. The related website you mentioned, was very interesting. Thanks again for all your care and blessings. Thanks for your visit and nice words! Your mail always reminds me of your father who was unique in his own way! What a devotion to the Holy Trio he had! Unbelievable! May their blessings be on you and your family! Your apology for long absence of 4 months came as a surprise and your assurance of filling in our INBOX will be satisfying our Spiritual Hunger and giving us PRASAD. 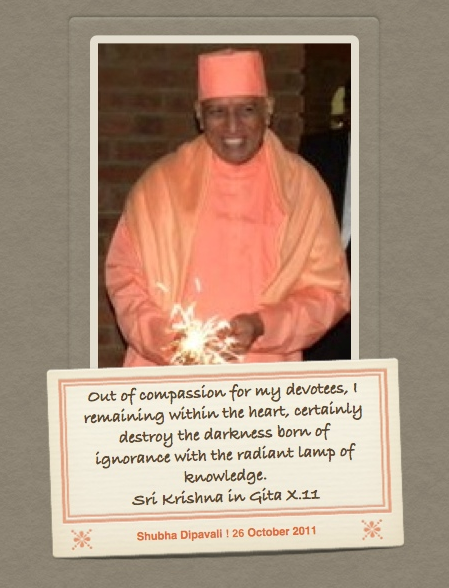 Bhagawad Gita‘s shlok of “Out of compassion for my devotees….” says it all. Eyes filled with collyrium of devotion makes the mouth speak such sweet words! But, do I deserve that? Could you please tell me/ teach me how to write to each devotee personally! Its terrific! I too feel at home after long years reading this blog! I am happy to know that you have obtained doctorate in Nursing and presently working in Dehradun. You must have definitely seen our beautiful ashrama there. I can tell you this much: Every visitor to this blog is welcome. And every comment that comes is most welcome. I learn a lot from reading and replying to every one. Every devotee here is representing my ishta. And my attempt to reply to every comment is my puja and that’s why it is called e-sadhana. “Yes, I moderate the comments received on almost daily basis. I make it a point to respond to every comment. I have found the Comments section very useful in the sense I am able to select the topic for my next post whenever I hit the Writers’ Block!” Please read ‘why blog comment moderation is a good thing’. May the blessings of the Holy Trio be on you and your family! Please accept my humble pranam! It was so refreshing to read this post. It is a “happy place” for me and most probably for many people. There are so many good, pure, wholesome and spiritual thoughts emanating from all the posts, that one is momentarily taken to a higher dimension. When one is seeking to travel on the spiritual path, Maharajji is like the guiding light, showing one the correct way. Thank you Maharajji for igniting the lamp of divinity in all of us with posts and various discourses that we are blessed to hear. Really speaking only Lord who is within yourself does this ‘igniting the lamp of divinity’ and bringing forth the light of knowledge! You must have read what Swamiji says : The goal of mankind is knowledge. . . . Now this knowledge is inherent in man. No knowledge comes from outside: it is all inside. What we say a man “knows,” should, in strict psychological language, be what he “discovers” or “unveils”; what man “learns” is really what he discovers by taking the cover off his own soul, which is a mine of infinite knowledge. We, monks are mere facilitators only externally. May the blessings of Swamiji be on you and your family!